Commercial crab fishermen won’t have a season for red king crab in Southeast this fall. The Alaska Department of Fish and Game made that announcement on September 7. 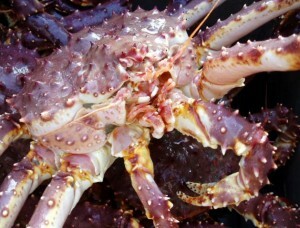 Meanwhile, Fish and Game Friday also announced changes to the personal use fishery for king crab. Those include a new closed area in Gambier Bay on southern Admiralty Island starting September 16. Bag and possession limits are also being reduced in areas that remain open. In addition, the Board of Fish also voted in January to create a permit for the personal use fishery and require reporting. That requirement started in July. Joe Viechnicki is a reporter at KFSK in Petersburg.